OE Electrics is over 30 years old and in that time we have changed a lot. From a small company selling just one product to a multinational selling a great deal more! In 1986 Office Electrics Limited was created and based at Caldervale Road. In 1990 BS6396 was published, then in 1991 the company broke £1,000,000 with just 6 employees! 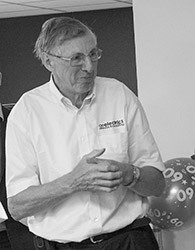 When Richard Hobbs and his son Tim took over Office Electrics in 1993, there were just 8 employees, only a couple of products, no in house engineering department, or moulding machines, just a few production benches, a front office and two very ambitious men. It soon became all too clear that Monckton Road was too small and for what Richard and Tim had in mind they would need somewhere much much bigger. With the move to Calder Point came full in house manufacturing. Richard and Tim realised that to keep on top of quality and supply they would need to bring in their own moulding machines. This also coincided with Office Electrics’ first in-house designed UK fused socket. In 2002 after a very uneventful train ride Tim had designed the company’s first in-desk unit: PRISM. Content with the balsa wood prototypes (3D printing didn’t really exist back then!) PRISM went into production and is still one of the company’s best sellers. 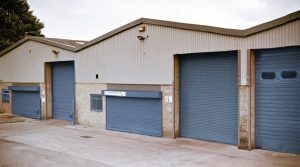 From PRISM came PENTA and then realising it needed more space, Office Electrics expanded to the building next door to cope with the increased demand and production. 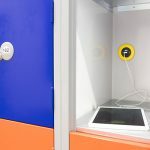 POLAR was the next unit to be designed whilst, to improve quality and supply, Office Electrics designed its own Schuko and French Belgian sockets. First tentative steps into export were taken with a presence in Dubai to serve the Middle East. In 2005 Office Electrics was approached to collaborate on a major client OEM project. 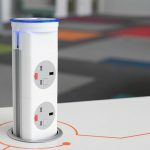 Working closely with the client it was able to design a product that would not only compliment the furniture but was future proofed for technical advances including the, at the time, unknown USB charging revolution. 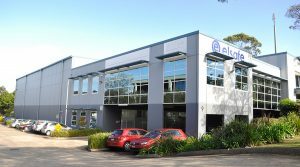 Office Electrics realised it needed to be able to supply the other side of the world so, after much discussion and long haul flights, acquired Elsafe, Australia. With this new addition to the Office Electrics Group came new products, new expertise, and new markets. Between 2005 and 2009 OE designed five new products including POLARICE, AXXESS, PIVOT and QIKFIT plus hundreds of custom solutions. In 2009 Office Electrics won Exporter of the year and now exports to over 60 countries world wide. 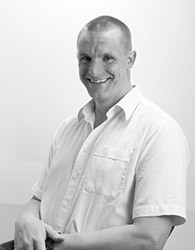 In 2010, Tim (middle-aged!) 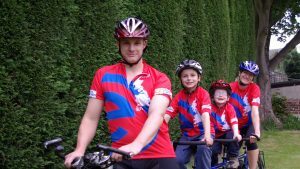 Hobbs took it upon himself to take his family on a cycling trip from Land’s End to John O’Groats on ONE bike! Sponsored by the trip raised thousands of pounds for the Cystic Fibrosis Trust. 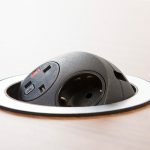 Back to work and several new products were designed including PLUTO and PULSE and the new round UK fused socket, incorporating WAGO Cage Clamp technology. The new round socket design started a revolution in new product design; opening up new possibilities. Soon PLUTO was in production after having enormous success at 100% Design, followed closely by PAGODA, PATHWAY, PIXEL & PROTON. With round sockets available in most nationalities there was nothing stopping Office Electrics from supplying the world! Before long there was demand for power in airports, hotels, restaurants and even ships and this was increased with the advent of TUF (Twin USB Fast charger). TUF brought in a new era of USB charging; never before had it been in such demand. With the increased use of hand-held, power-devouring, devices people needed easy, accessible charging. Office Electrics designed TUF to be both. Available in all its units it made charging, fast, easy and more importantly – SAFE! In 2014 the company took the bold step of re-branding and a complete name change. ‘Office Electrics’ had served the company well, but it was felt that the ‘Office’ element wasn’t truly reflecting what they were able to offer. So, ‘OE Electrics’ was born. OE immediately saw an increase in traffic to its website and also new enquiries from previously unconnected industries. Exhibiting at 100% Design allowed OE to show-off its new selection of products including PENDULUM, POSE, PASCAL, PANDORA, & PIP. Never before had the company been able to offer such a varied selection of products and now with a full design team on board, was unrivalled in its ability to offer a complete solution – whatever the situation. In 2017, just over 30 years from the beginning, OE finally moved into Its new purpose built manufacturing facility in Wakefield. The new building: OE House, would bring a spacious work environment, better facilities, more space for growth, and allow for an altogether much improved base from which to continue providing unprecedented service and support to its customers.